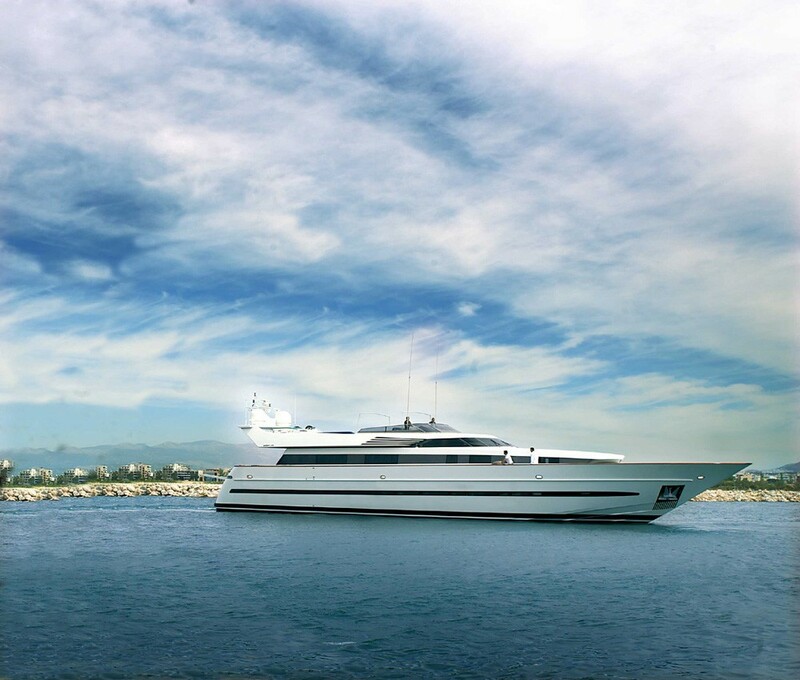 Astir is a 109ft luxury motor yacht, built by Cantieri Di Pisa launched in 2000. 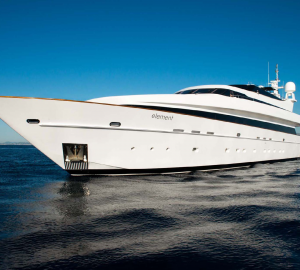 She was refitted in 2005 and has only been used privately until 2007 when she became accessible for charter. 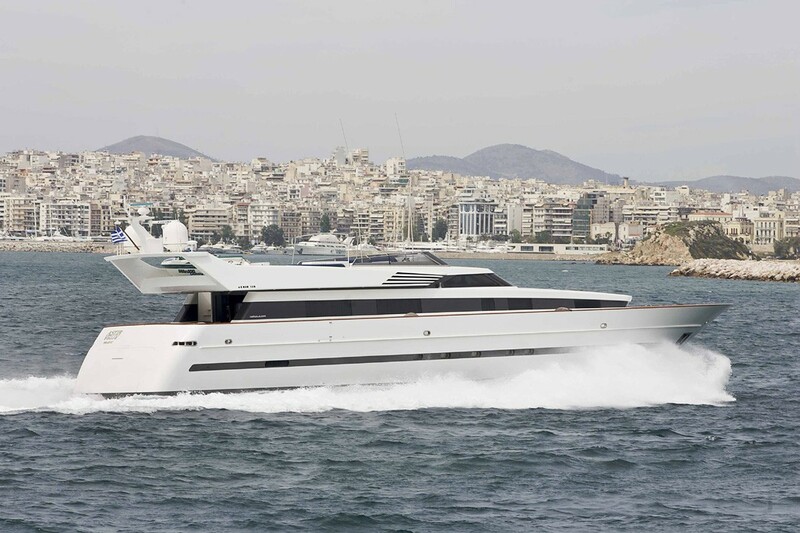 Available for charter in the eastern Mediterranean this luxury yacht in based in Athens, at Marina of Flisvos all year round with access to Greek and Turkish waters. 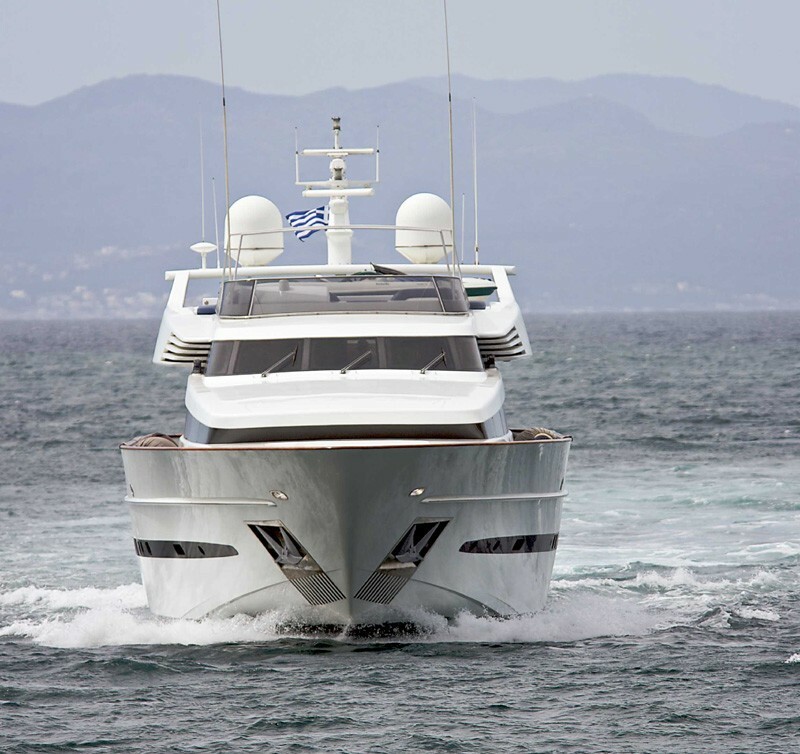 Cantieri Di Pisa built, Astir has five luxurious cabins including a master suite, a VIP cabin and three more guest cabins with various layouts. 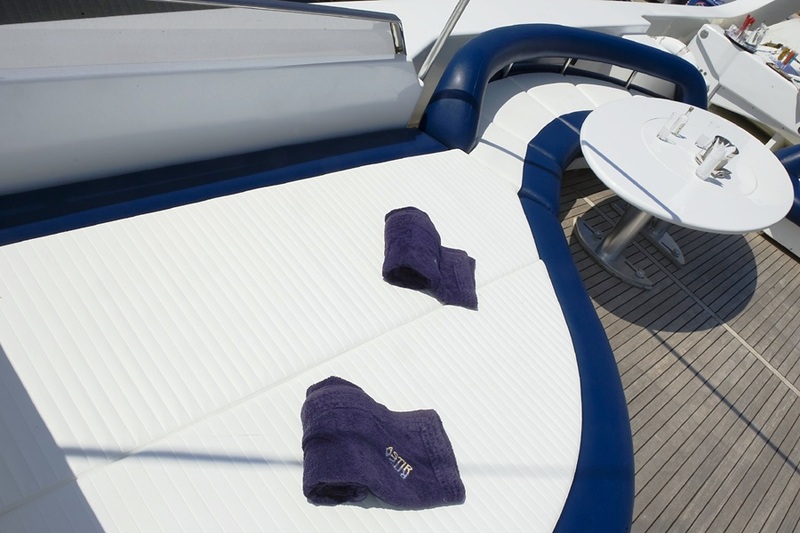 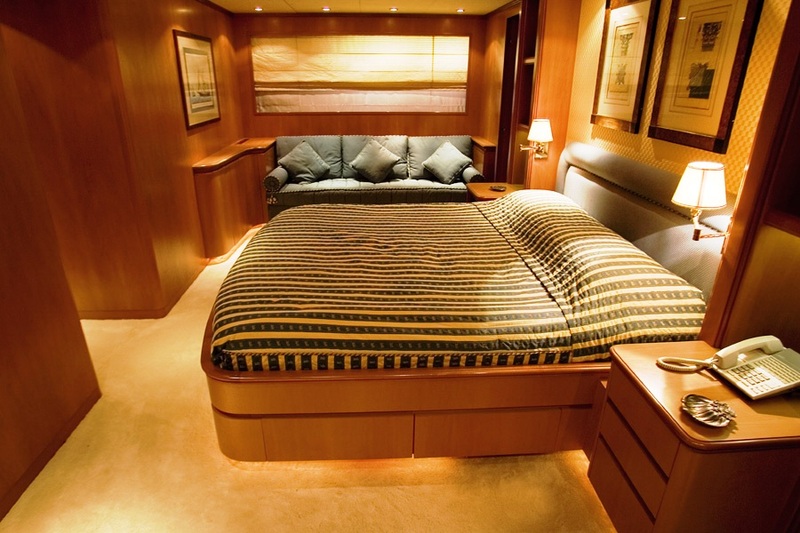 She comfortably sleeps ten people and has five crew to look after guests and service the vessel. 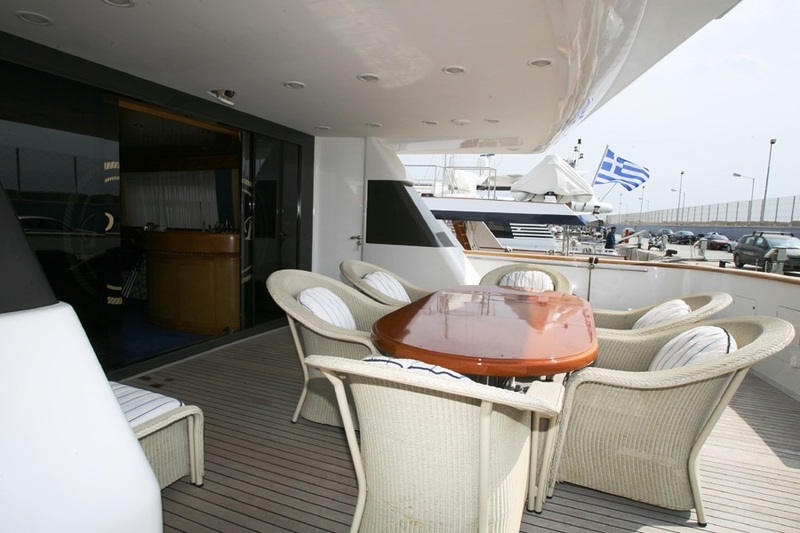 Her ample deck space ensures plenty of space to enjoy the sunshine and alfresco dining, while taking in the stunning views of the Greek Islands and Turkish coastline. 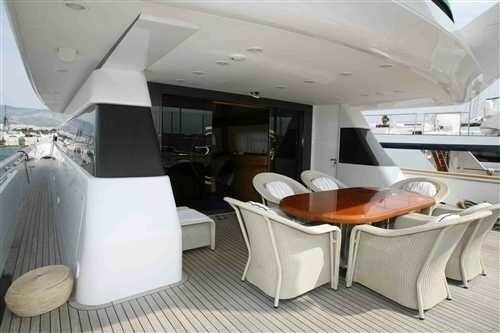 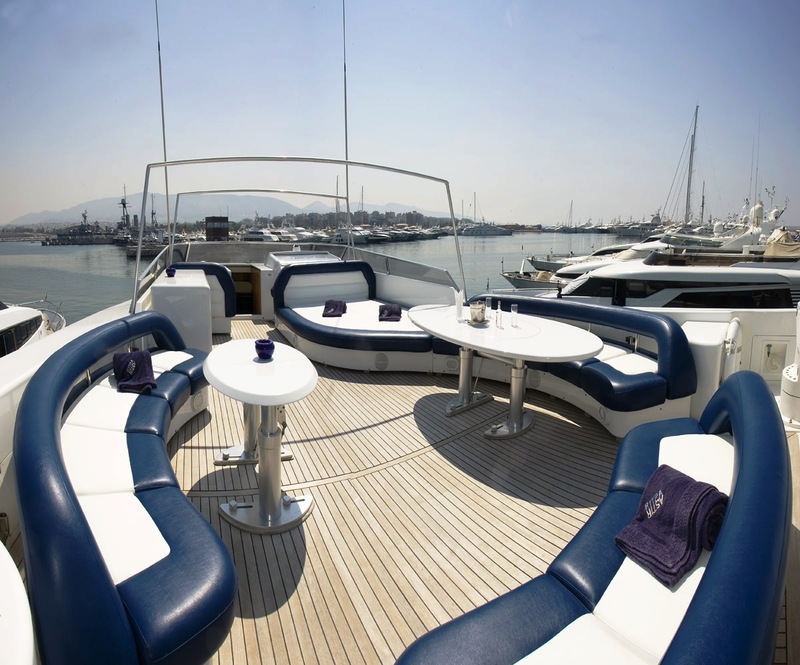 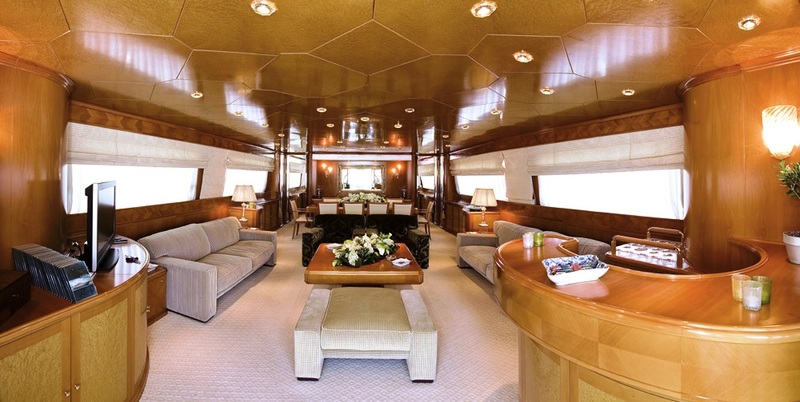 This luxury mega yacht is equipped with Bang and Olufsen speakers throughout, TVs, Satellite television and DVD players. 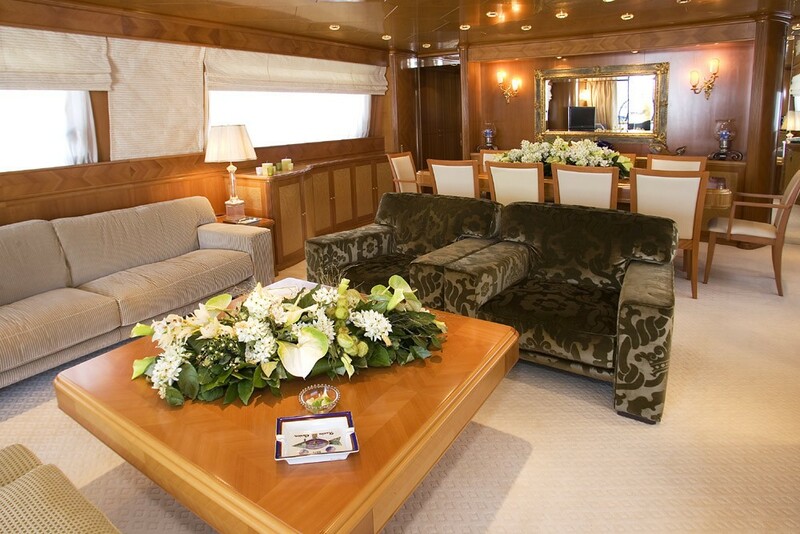 All double cabins have a television which can view satellite channels as well as a television in the main salon. 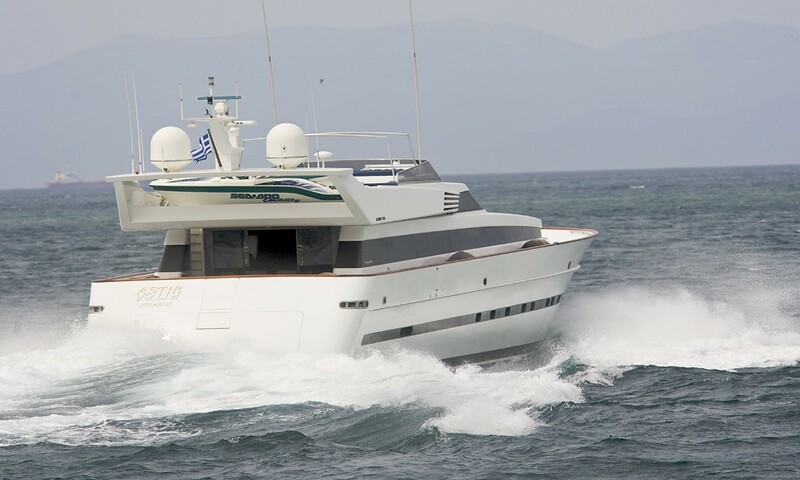 She has satellite communication equipment, an intercom system, surveillance cameras for security and VHF Furuno and an SSB transceiver to ensure that she can always be reached. 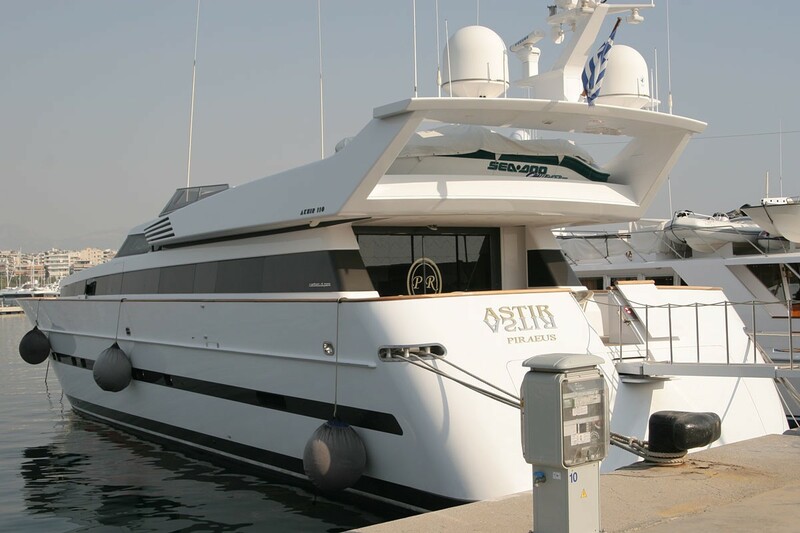 Astir has an excellent selection of “toys” for water-sport activities. 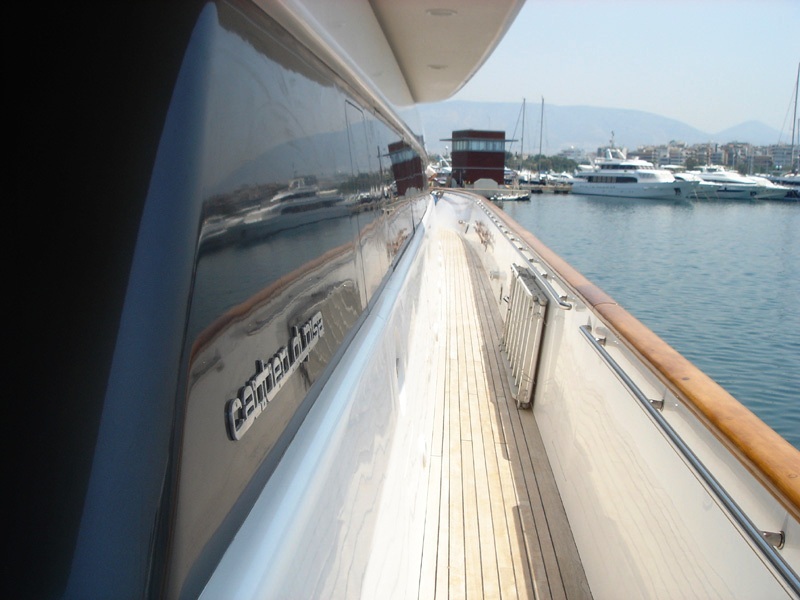 She has a Zodiac tender with a Jet engine rotax bombardier as well as a Yamaha tender inflatable with 85hp engine, a Jet-ski and a Waver runner which means that she can offer waterskiing, jet-skiing and tubing. 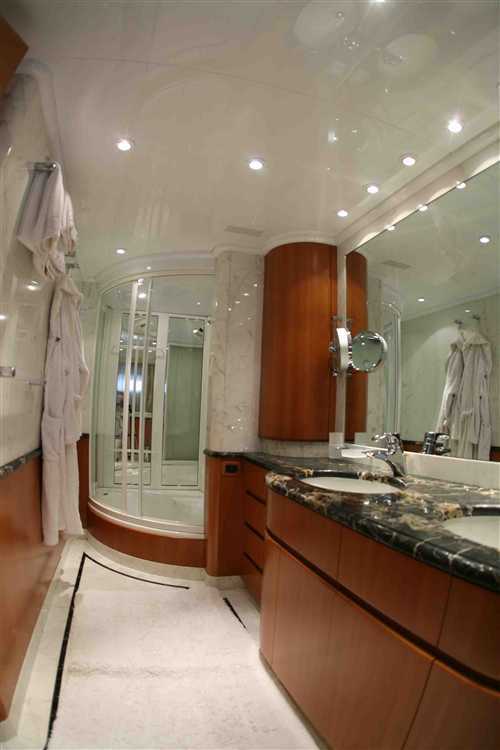 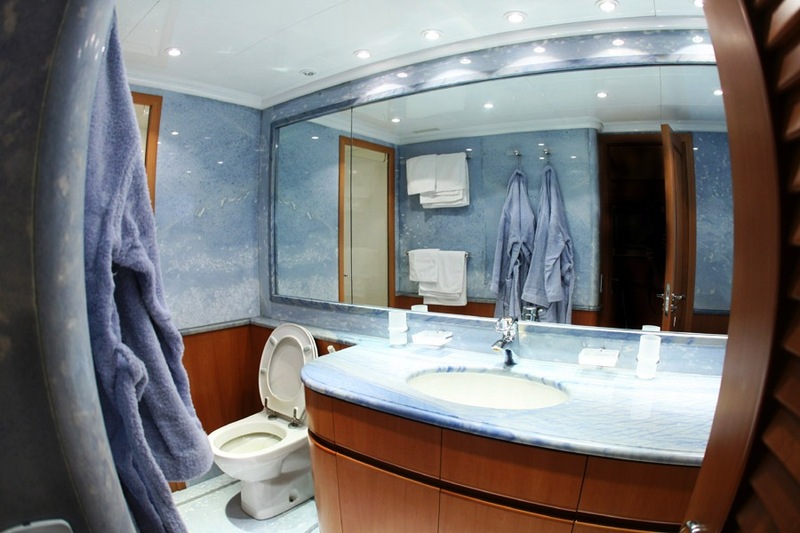 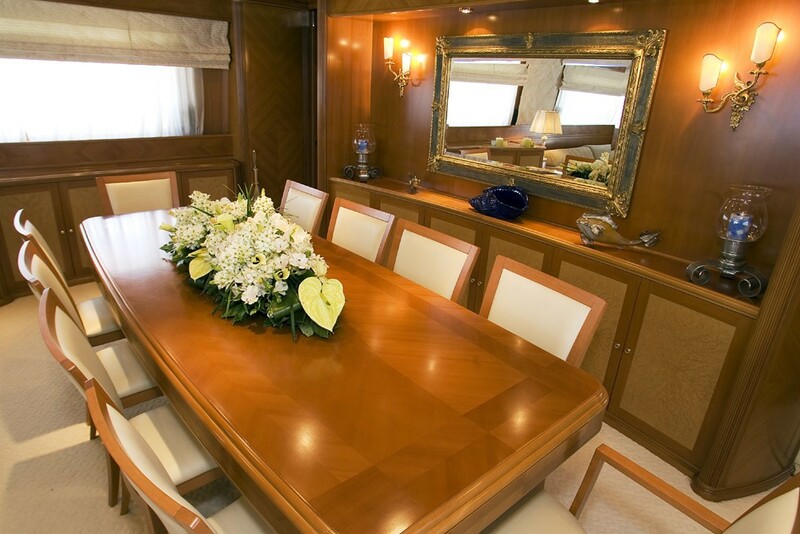 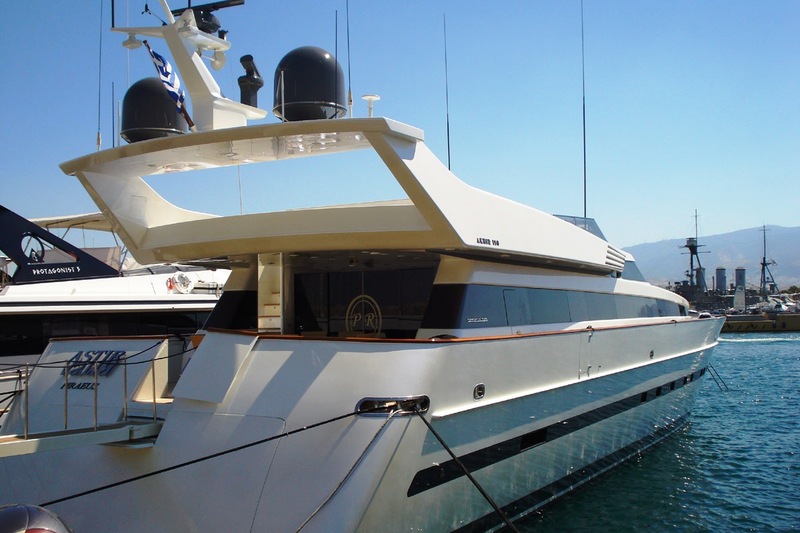 Motor yacht ASTIR had a total refit in 2009, and a paint job plus a total machinery overhaul in 2010. 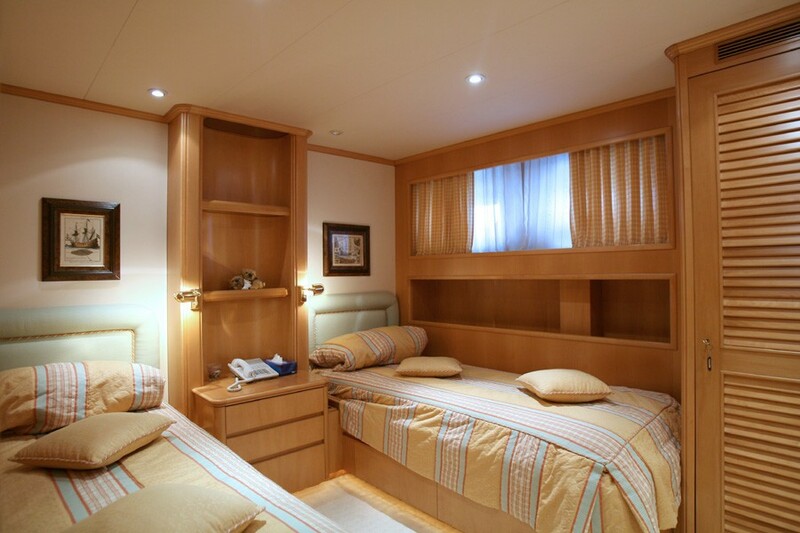 Astir has five very luxurious guest cabins. The master suite has a king size bed and a Spa Pool in the bathroom. 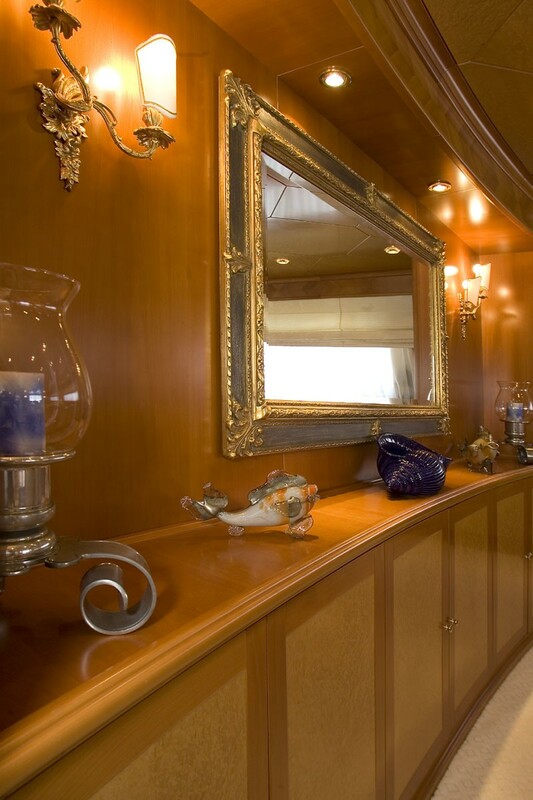 It also features a TV, VCR, Phone, CD stereo and a safe. 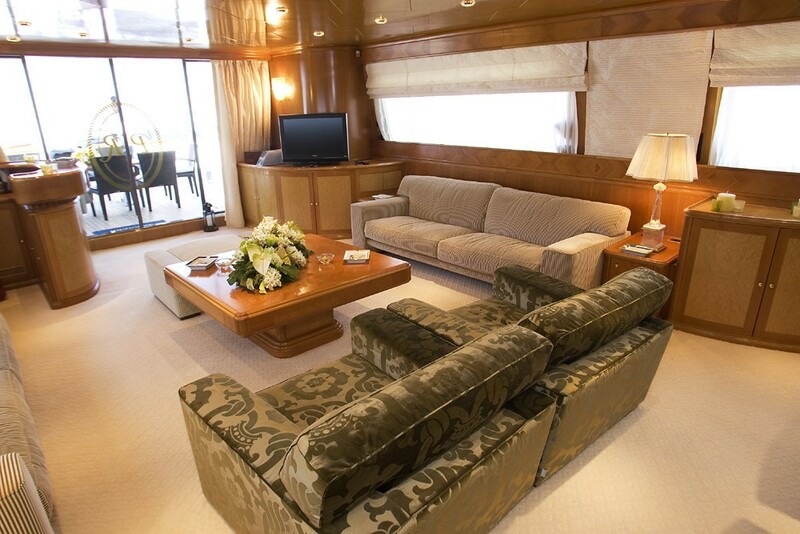 The VIP cabin has a king size bed, TV, VCR, phone and stereo music. 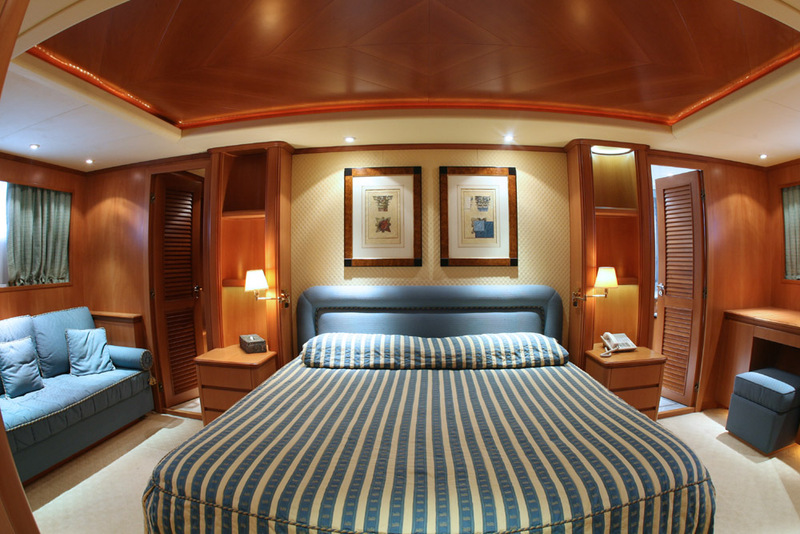 The third guest room has a queen size bed and the twin room has two singles. 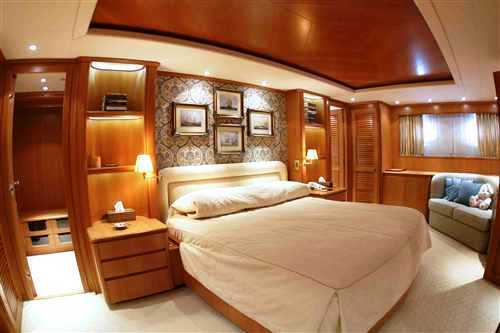 The fifth bedroom is a double suite on the main deck and is convertible. 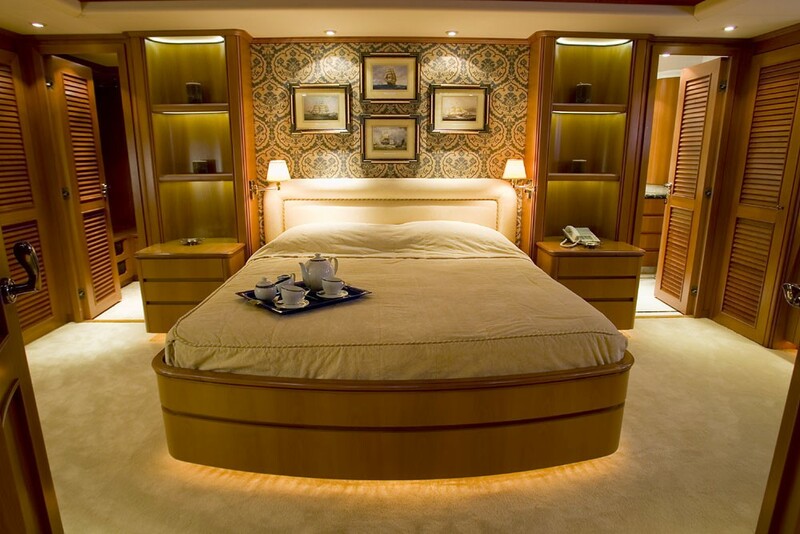 Clients can choose between a fifth guest bedroom and having the room as an office or playroom for the children. This room has a TV, VCR, phone and CD stereo system. 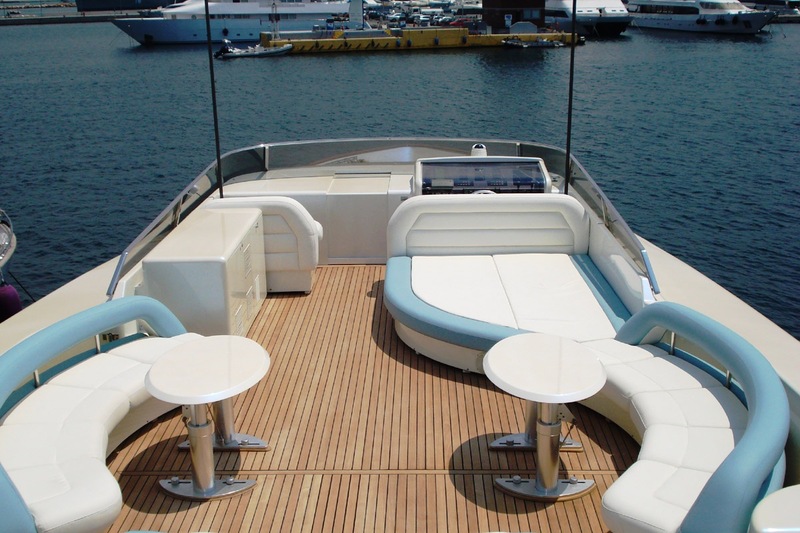 Astir is fitted out with the most modern technology for communications. She has VHF Furuno, SSB Transceiver, Furuno Navtex, 2 magnetic compasses, plotter, 2 Furuno radar, surveillance cameras, GSM phones, satellite communication and an intercom system throughout. 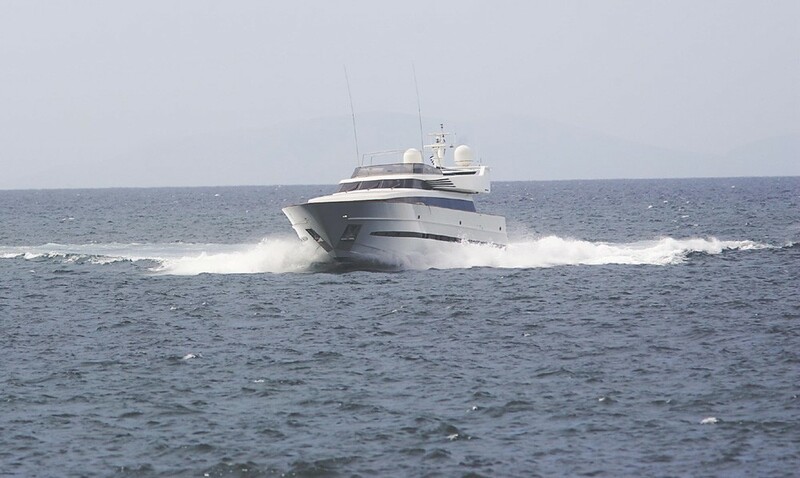 Her “toys” include a Zodiac tender with a jet engine rotex bombardier, a Yamaha tender inflatable with 85hp engine, a jet-ski Yamaha FX super jet and a jet-ski Yamaha wave-runner 800cc. 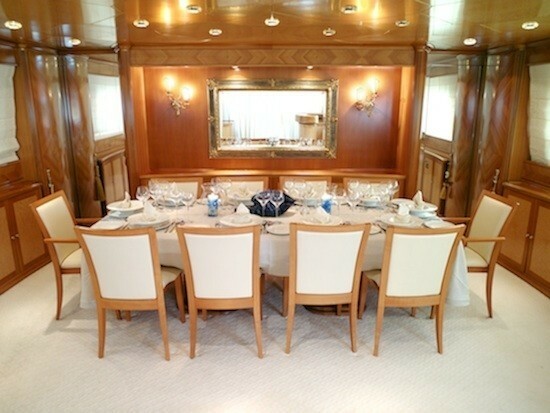 Her water-sport activities included water-skiing, jet-skiing, tubing and snorkeling for ten guests.